We consider manufacturing industry to be central to our economic well being as a country. Whatever we choose to make for ourselves must be of excellent quality. An emphasis will be placed on developing new technology, which will be used facilitate the production of more and better goods and services. 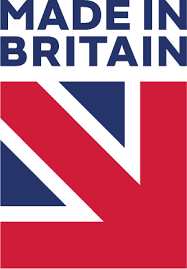 We should be able to produce what we need here in Britain such as white goods, clothing and footwear, furniture, and electrical goods etc; the everyday items that mark a modern standard of living. This goes for the equipment and materials used for construction too, and we should build new, better, and affordable housing for working people. Britain can support its own chemical industry and has the ability to introduce appropriate health, safety and environmental safeguards. However, as with all large-scale enterprises, state investment will be required. We need British vehicle production and a components industry, rather than the assembly of imported parts. Production of our own cars, buses and trains will contribute to rebuilding of our transport infrastructure. In the 1990s, we had the third largest aerospace industry and were still capable of building entire planes. We should retain our independent aerospace capability, both military and civil. Shipbuilding and repair yards must be opened. As an island, we need to be able to produce and maintain our fishing fleet and merchant navy. British built and registered ships should carry a larger proportion of our trade. To strengthen manufacture, Britain needs an academic education system that enables children’s minds to flower; and a training system that prepares people for work in an island with full employment. Funds must be directed into research and development, to stimulate further industrial growth. The future lies in harnessing technical innovation in manufacturing processes for the benefit of all. Investment and increases in productivity must be shared by all. The establishment of an investment bank, owned and controlled by workers will be an essential part of this. We need to regain control over essential industries such as our iron, steel, energy and water industries, and improve the infrastructure necessary for distribution of materials and goods.